A professional new look for an old-time favorite in the Commercial Real Estate industry. Create an easy-to-update website to display Mr. Commercial's various listings and other information. Ensure the site uses professional photography showing commercial real estate. properties. 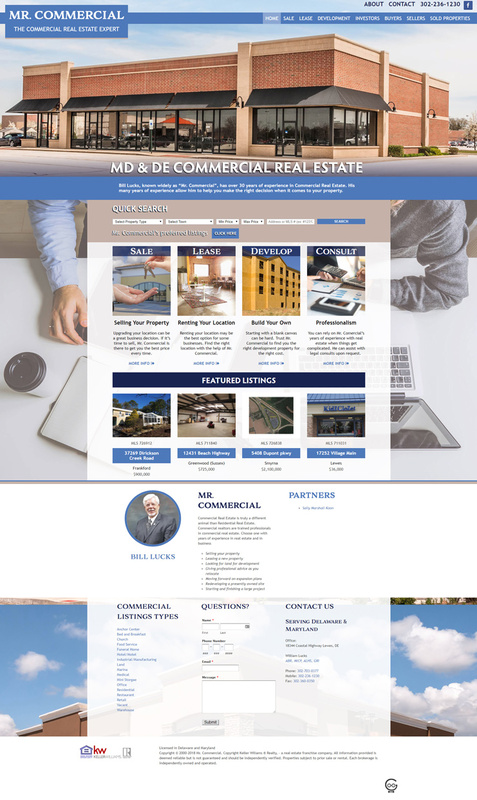 We worked long and hard to include a special commercial real estate listing feature on this site. Finding the right software to work with took some time and effort. Meanwhile, our designers and writers spent their time crafting the perfect look to the site with custom content and specially chosen photography. Check this one out.